At 20:28 this Sunday the first of the tremors was happened northwest of Fuerteventura with an intensity of 3.1 degrees. There was a further tremor registered measured at a level of 3 degrees further nort of the islands. Both tremors are considered by the IGN within the usual scales of the islands. It is worth remembering that, since September 2, on the east coast of Tenerife, more than 10 low intensity earthquakes have been recorded -between 1.5 and 1.6-, although the frequency that was defined several months ago remains seismic. More than 200 miniterremotos have been counted in just 72 hours during the month of May this year. Travelling up to the north of Lanzarote, heading in the direction of Haria and passing the village of Teguise you will see the wind farm of Los Valles perched on the mountainside on the right. Operated by Endesa (the main electricity company here) and the Insular Water Consortium of Lanzarote it has produced in the first half of of this year 13,349.6 megawatt hours of energy, which equates to supplying electricity to more than 7,600 homes on the island. The output of the farm has improved noticeably in relation to the first half of 2017. From January to June, the Los Valles wind farm was the third largest in terms of energy produced in the Canary Islands. The improvement was largely due to the start-up of a tenth wind turbine at the beginning of the year, with a production quality similar to the nine existing ones. Lanzarote this year has achieved eight blue flags among which is that of the beach of El Reducto de Arrecife, which has managed to recover the badge it lost in 2002. For its part, the coast of Tías has obtained three blue flags achieving again the award he lost last year in Playa Grande. Matagorda and Los Pocillos are the other two beaches of the municipality that have obtained the distinction, which on the other hand has not been recovered in Playa Chica. In regards to the beaches, Lanzarote has obtained seven blue flags. Last night (03/12/2017) the moon was the closest to earth than it will be until November 24th 2034. Known as a supermoon the Moon appears larger and brighter in the sky. Itw was a little cloudy last night but the moon was without doubt shining through the cloud. The distance between the Moon and Earth varies throughout the month and the year. On average the distance is about 382,900 kilometers (238,000 miles). This is because the Moon’s orbit around Earth is not a perfect circle, but elliptical, with one side closer to Earth than the other. A Super Full Moon will look about 7% bigger than an average Full Moon. When compared to a Micromoon, it looks about 12% to 14% larger. Lanzarorote and the Canary islands are one of the best places to take advantage of these phenomenons due to the clear skies. In conclusion The United Kingdom continues to be strong and maintains an indisputable leadership amongst the markets on the island. 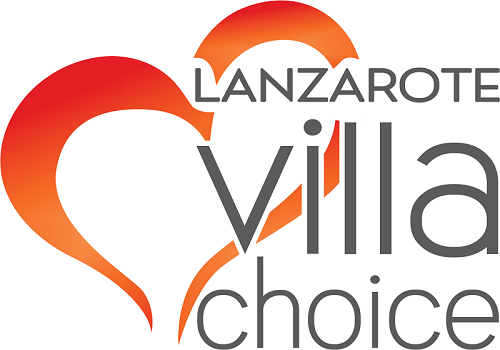 The British market is showing stability which gives peace of mind to tourism in Lanzarote. It has however experienced a slight decline for this winter of just 1.3% in the reservation of slots (landing and take-off rights) at Lanzarote Airport, mainly because of the overcapacity of previous seasons and the recent demise of Monarch Airlines, although it must be said that other airlines such as Jet2, easyJet and British Airways have begun to occupy part of the gap left which has been left. On Tuesday 2 other well known cruise ships could be seen at Puerto Naos and Los Marmoles. The giants Queen Elizabeth and Costa Fabulosa hold between them a capacity of 6,000 passengers. Wednesday will be the turn for the Tui Discovery, with space for more than 1,800 passengers. A busy time for cruises and you will see plenty ships passing by.